In 2017, the Florida Fish and Wildlife Conservation Commission reported 538 manatee deaths in Florida, the third highest total mortality ever recorded. In 2017, the Florida Fish and Wildlife Conservation Commission reported 538 manatee deaths in Florida, the third highest total mortality ever recorded. 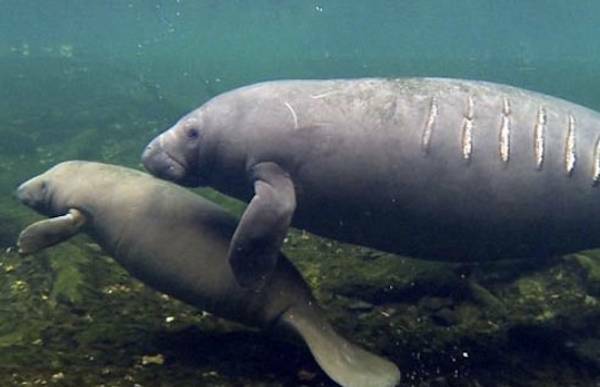 For the second year in a row, a record-setting 106 manatee deaths were caused by watercraft. 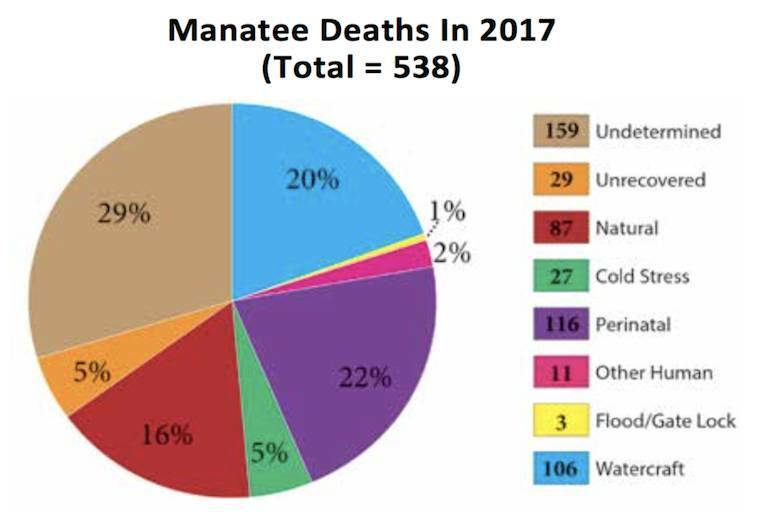 In total, 22.3% of recorded manatee deaths in 2017 were human-related. The remaining manatee deaths for which a cause could be determined were perinatal, which includes all manatees less than 5 feet in length that did not die from human causes (21.6%), natural (16.2%), and cold stress (5%). Twenty-five manatees were rescued during 2017 as a result of strikes from watercraft and, sadly, eight of those did not survive. With increasing vessel use in manatee habitats, it is important for operators to be more vigilant. Boaters can avoid collisions with manatees by adhering to posted speed zones, looking for signs that manatees may be present, and operating in deep-water channels whenever possible. Polarized sunglasses and a designated observer can help vessel operators spot and avoid manatees. Keeping a proper lookout while boating helps ensure both manatee and human safety. Educated, compliant, and watchful boaters can be strong advocates for manatees, and they are a key part of manatee protection. 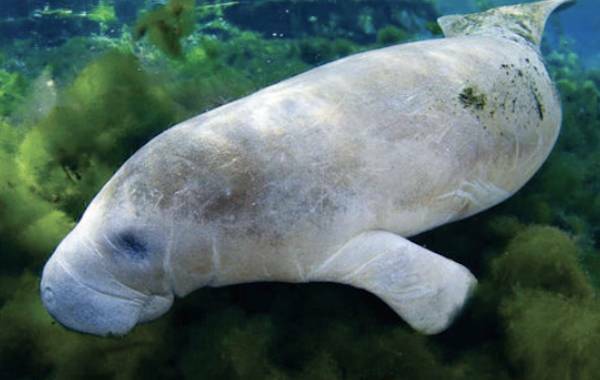 Although Brevard and Lee County persist with the highest number of annual manatee deaths over the past seven years, relatively high numbers of watercraft deaths were also reported in Volusia and Monroe Counties. The cause of mortality could not be determined for half of the manatee deaths recorded in Brevard County during 2017. In Lee County, 56% of deaths were natural or perinatal last year. Unfortunately, a sizeable percentage of mortalities in Lee were unrecovered or too decomposed to determine a cause of death (a combined total of 35.4%).